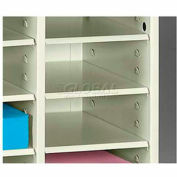 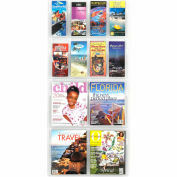 Easily accommodates mail magazines, printouts, etc. 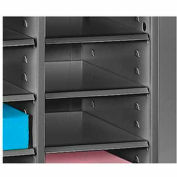 Designed to save time, space and compliment any area. 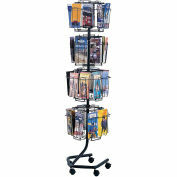 Perfect for use in mail rooms, information centers or reception areas. 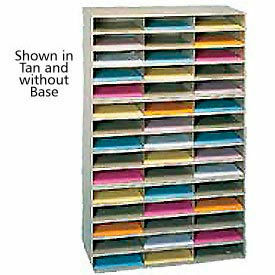 Steel sorter features 10"W x 3"H compartments and an overall size of 34"W x 12"D. Includes 6" H base to be used as a floor unit. 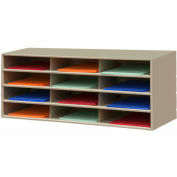 Note: This unit ships in four boxes - Three 15-Compartment racks and one base. 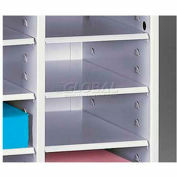 Racks are rigid, and each section is shipped set up, ready for use.